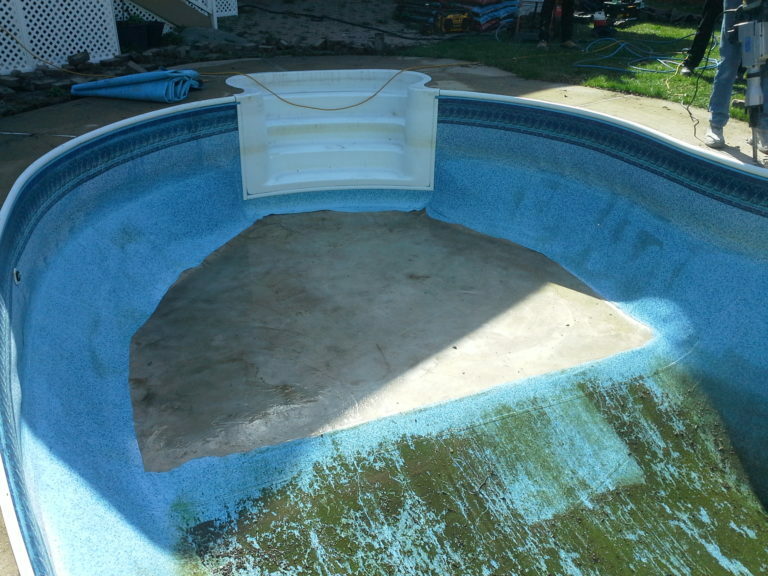 Revitalized and ready to be enjoyed again! 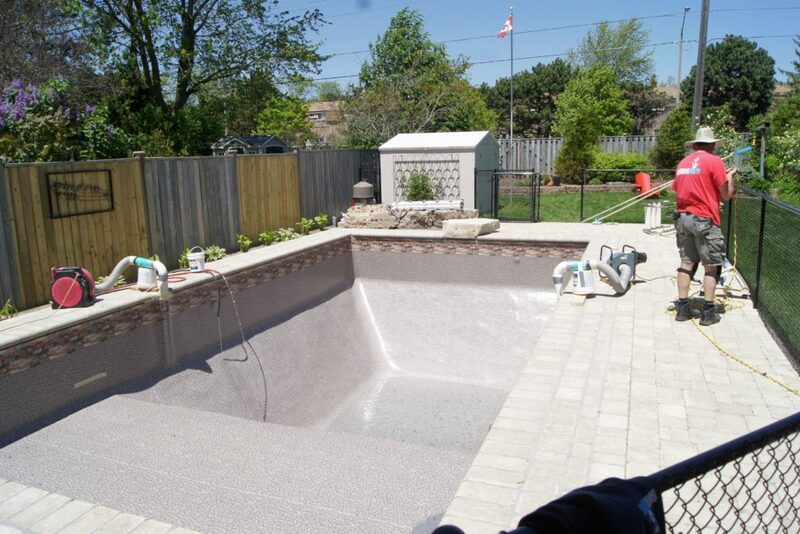 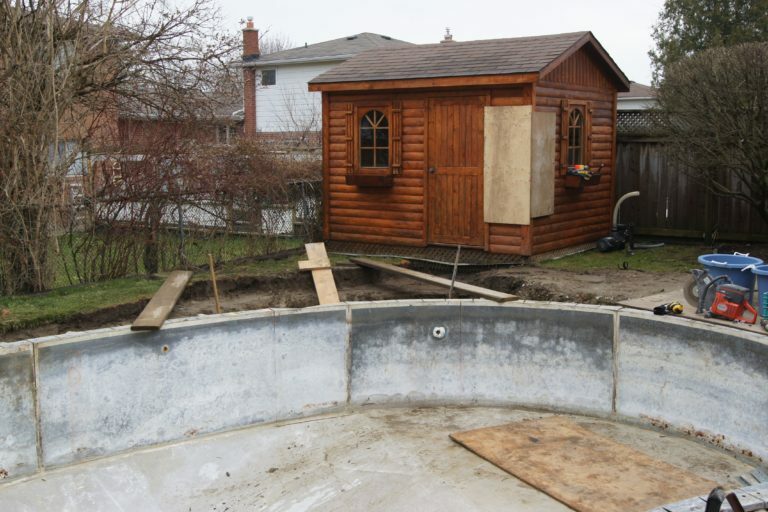 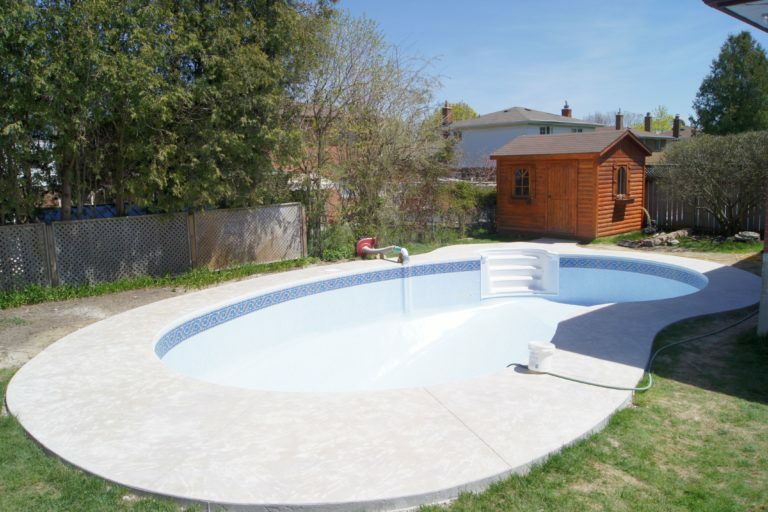 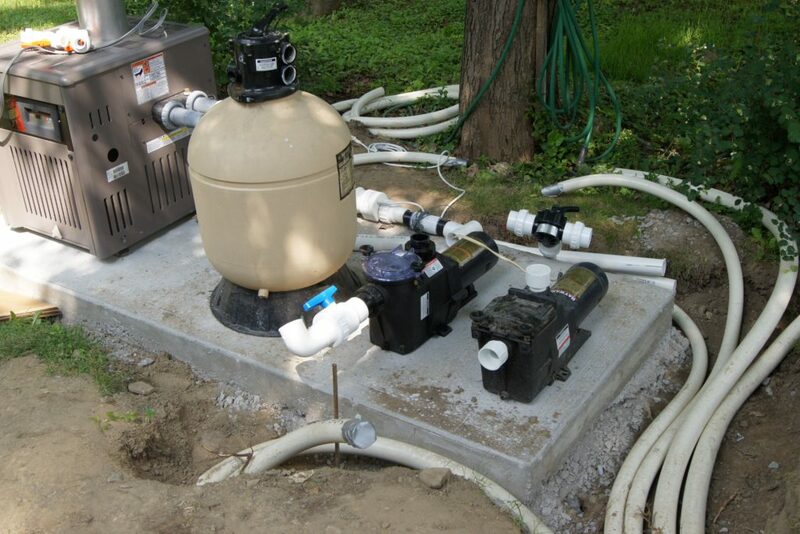 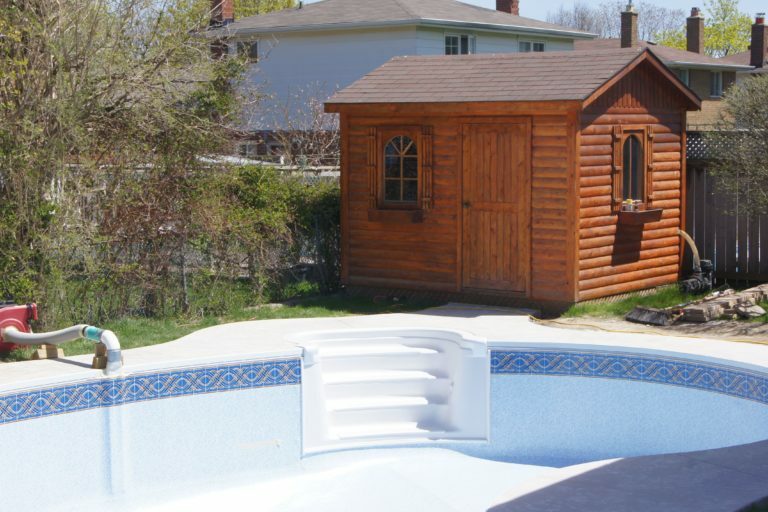 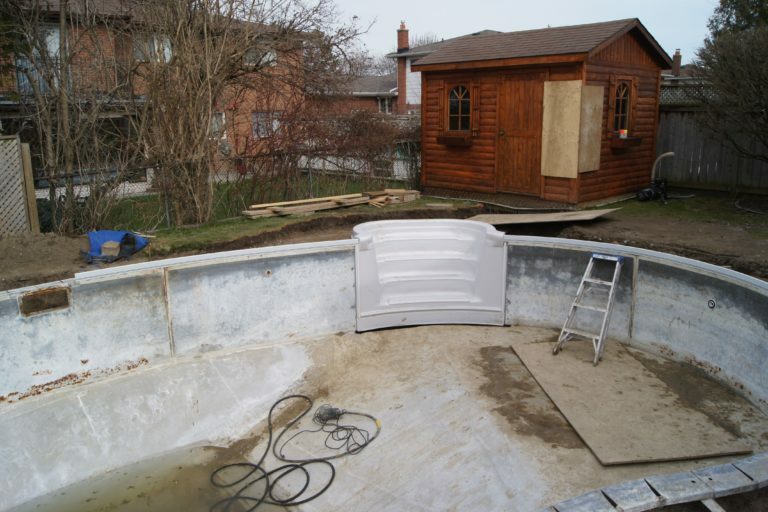 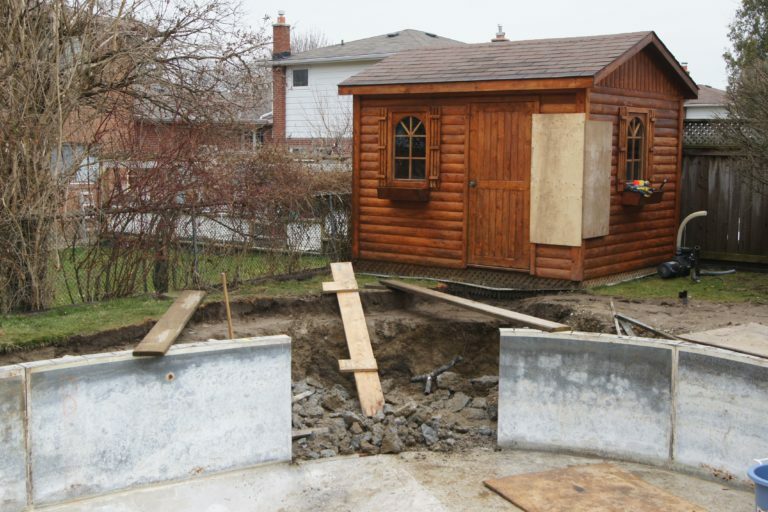 For this pool renovation in East Scarborough, we installed new in-ground plumbing, upgraded to a new cartridge filter and variable speed pump and several aesthetic renovations. 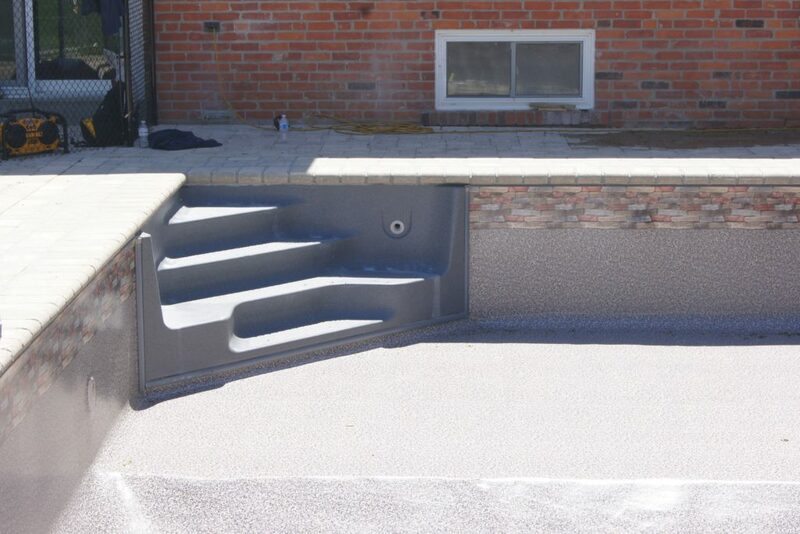 We installed brand new corner stairs, a full-print pool liner and added LED lights. 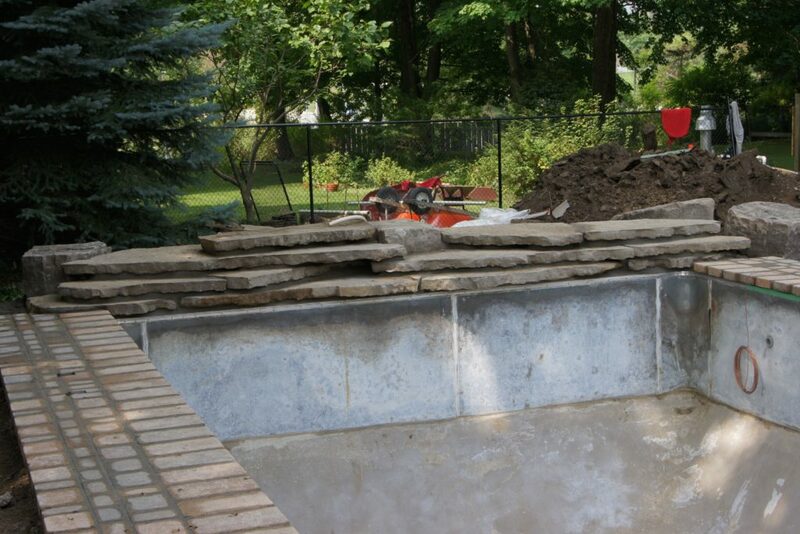 To finish it off, we installed a new interlock stone deck. 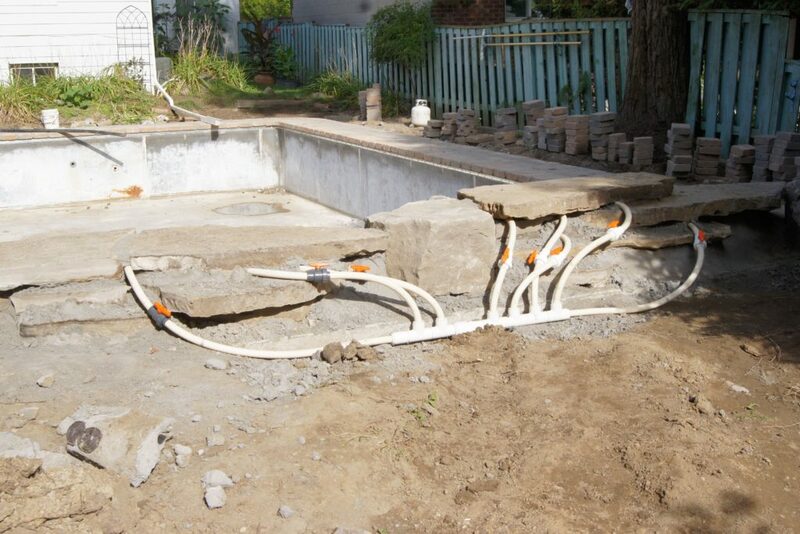 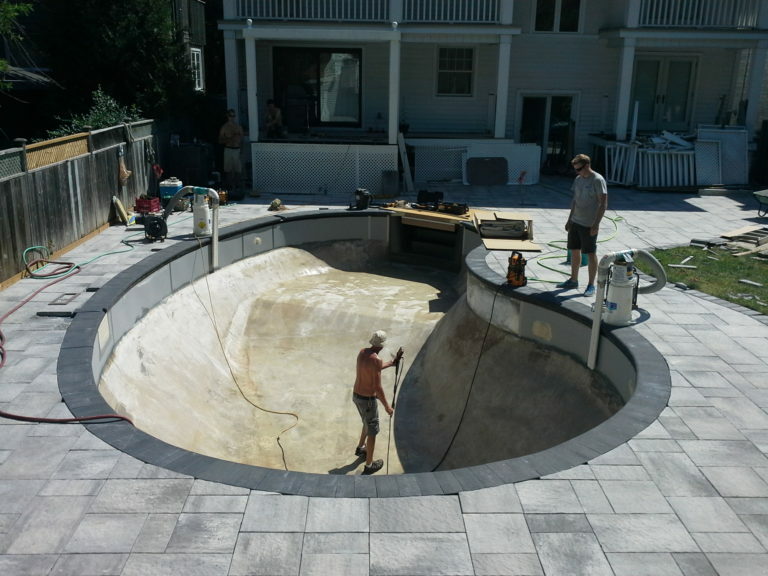 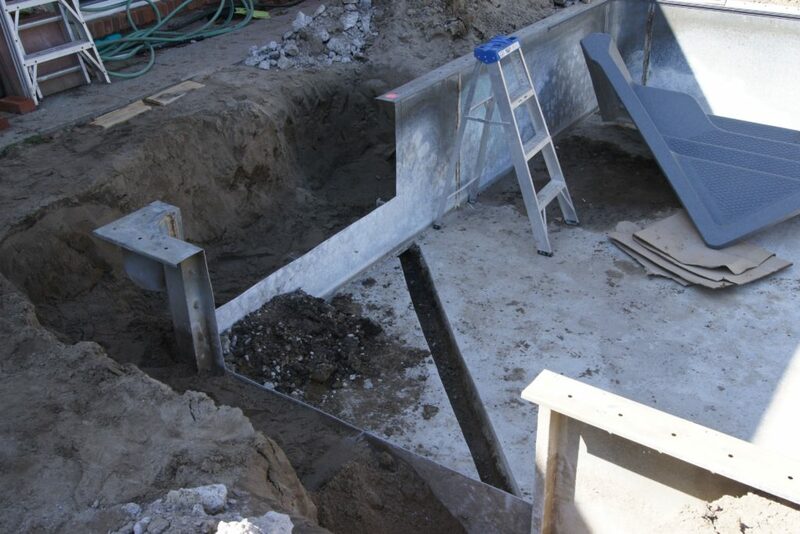 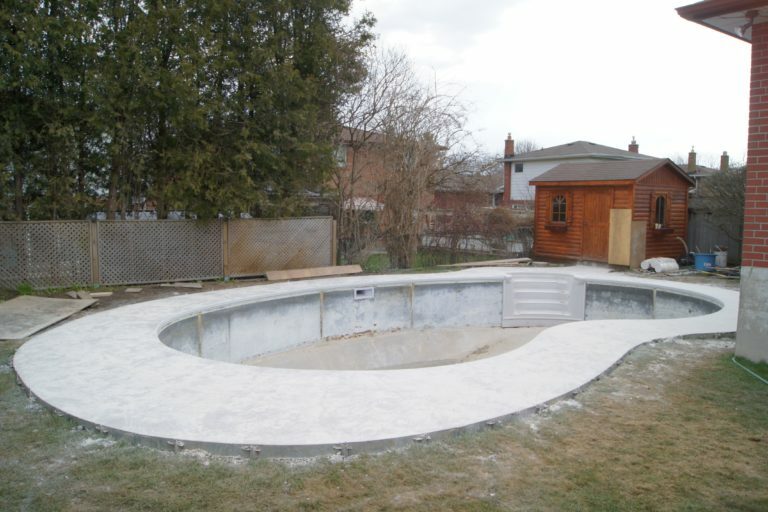 For this pool renovation in Scarborough, we installed a show-stopping natural water feature. 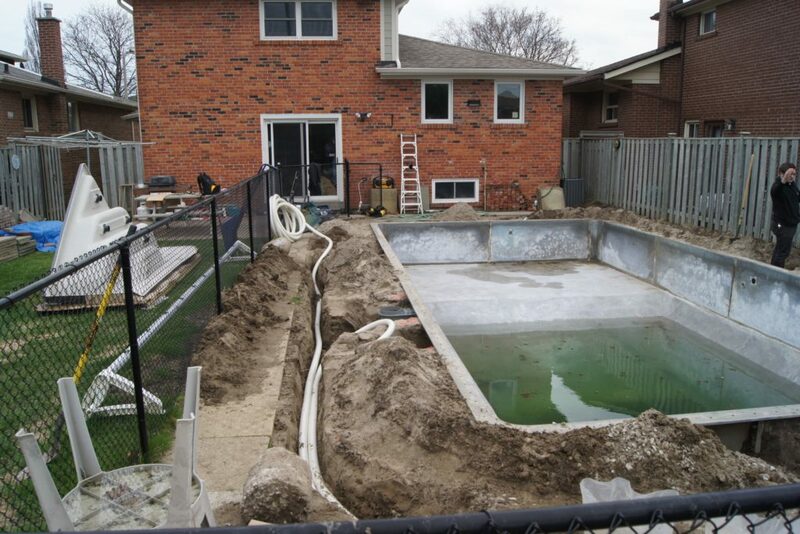 We removed the existing concrete pool deck, replaced the outdated underground plumbing, added a solar heating system and pool lights – to make this renovated pool enjoyable for even longer! 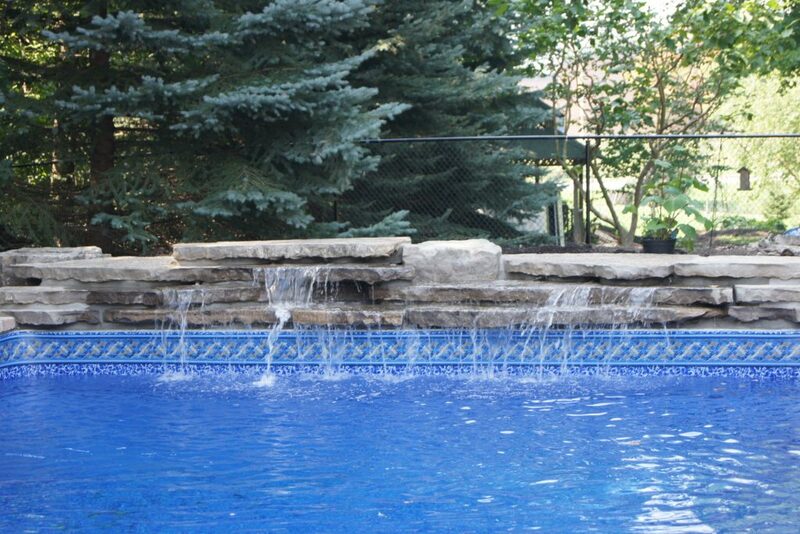 We designed the custom waterfall along the deep end of the pool, installed a new liner and a new interlock deck. 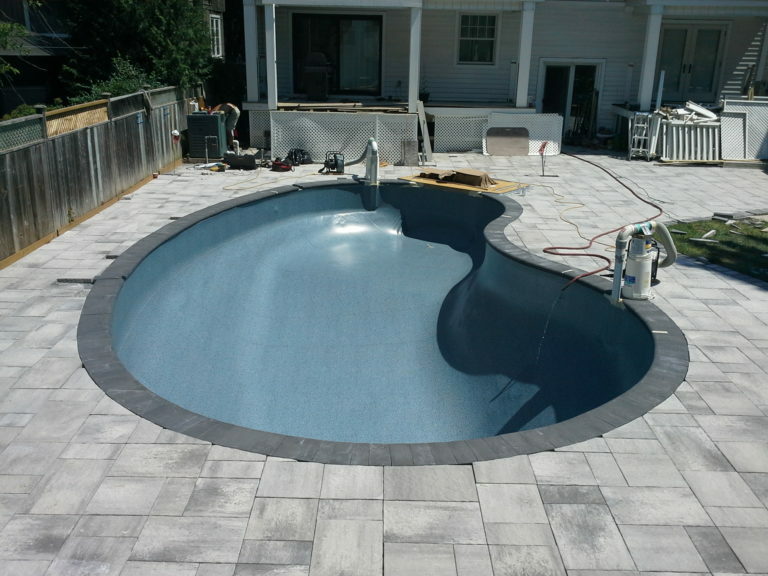 Ready to transform your pool? 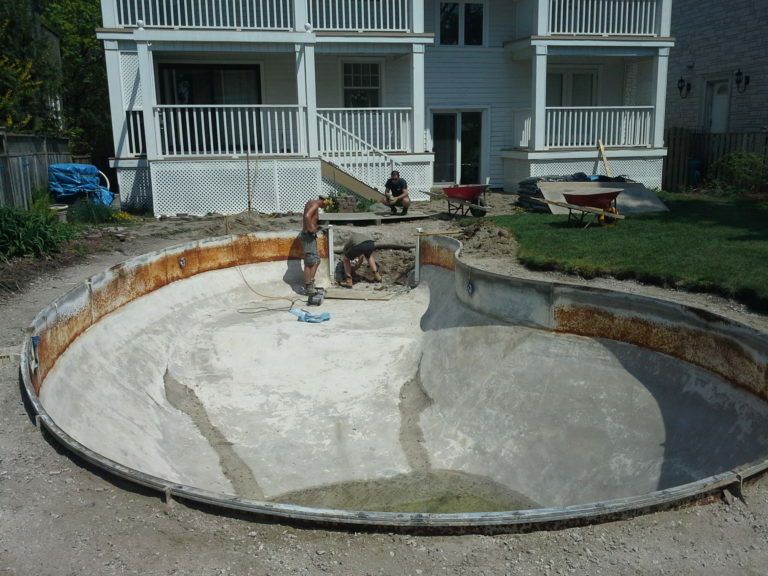 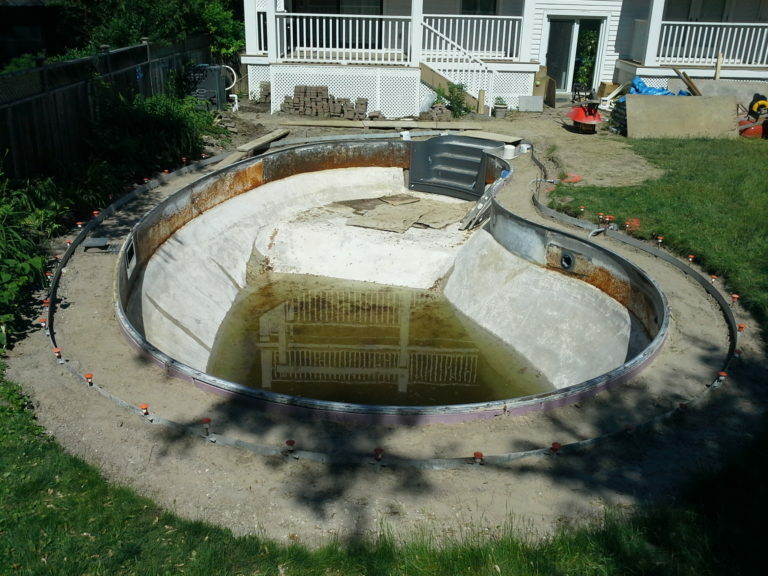 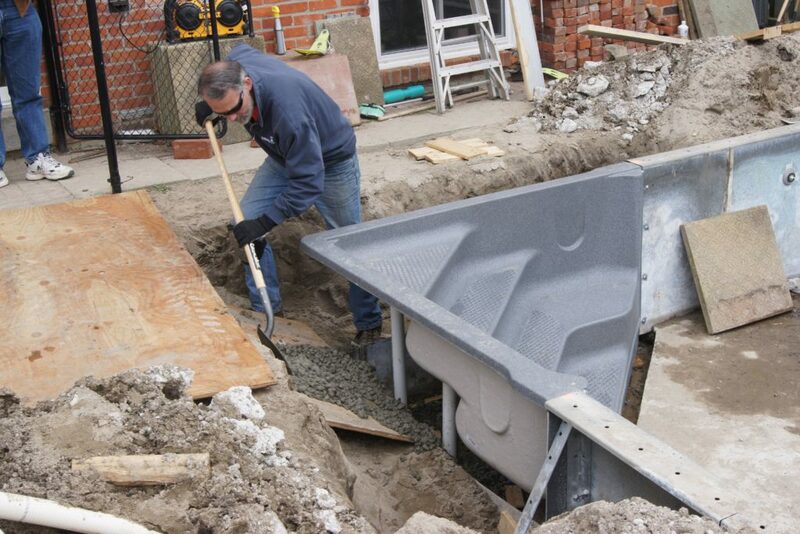 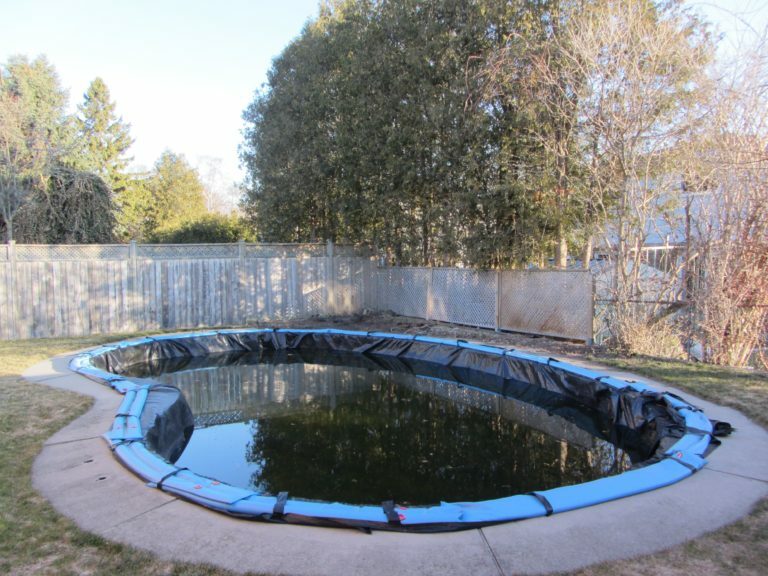 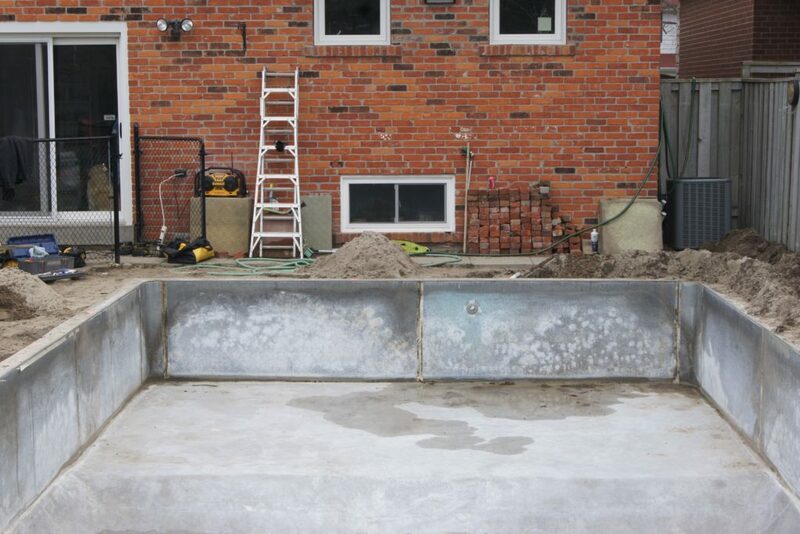 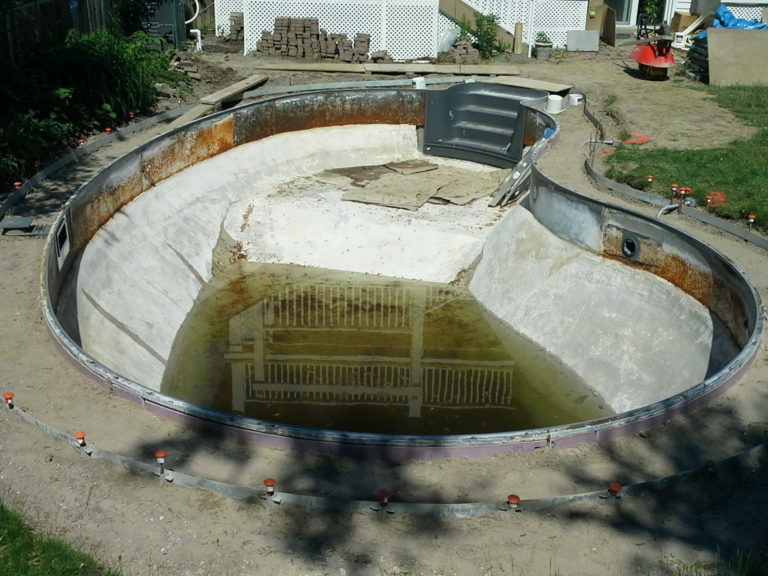 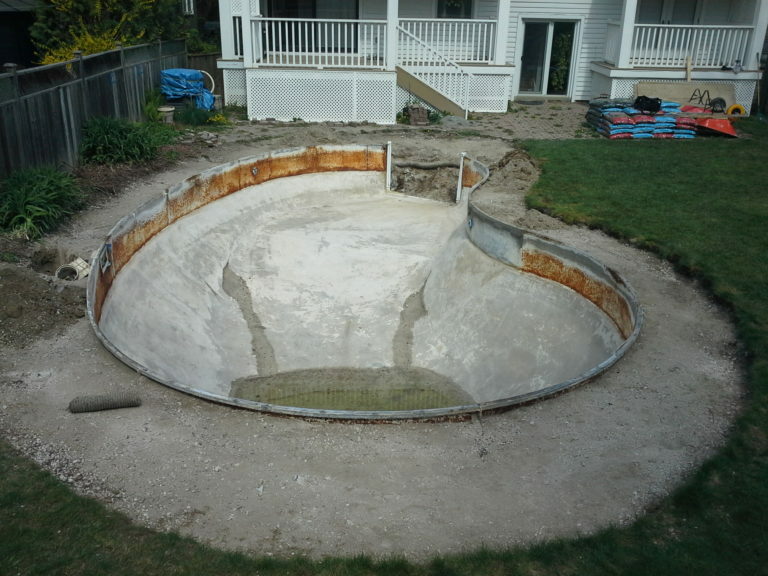 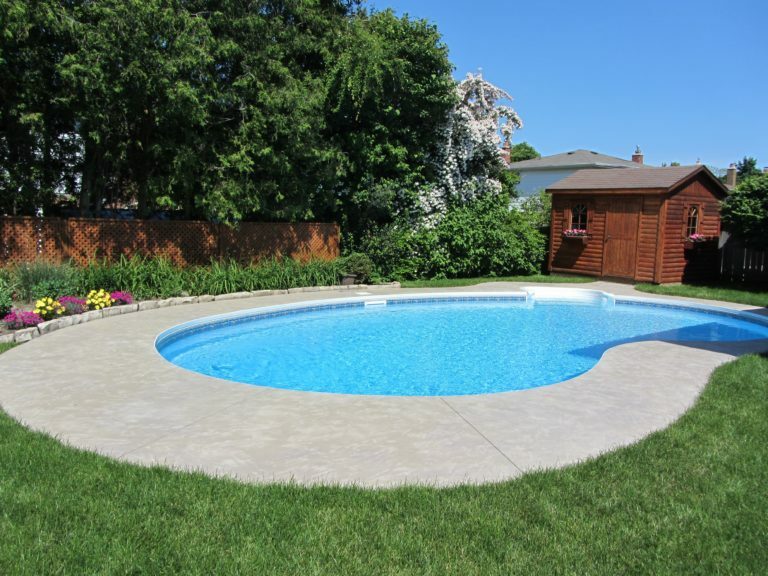 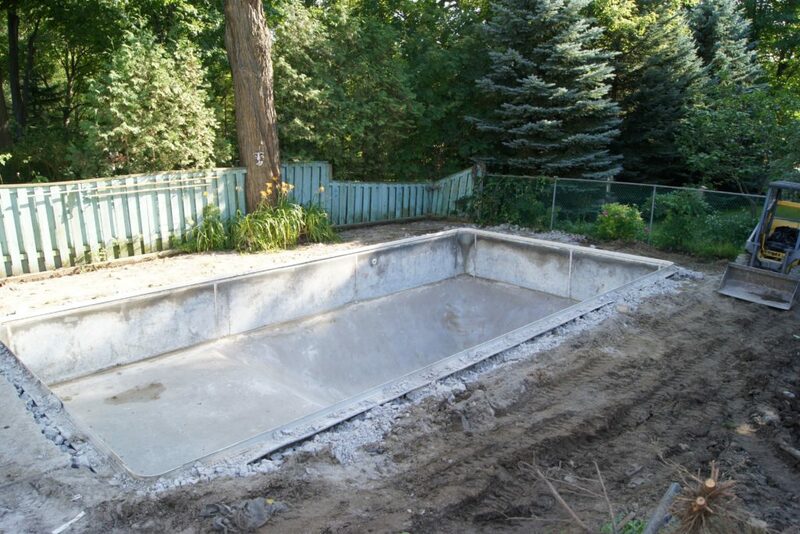 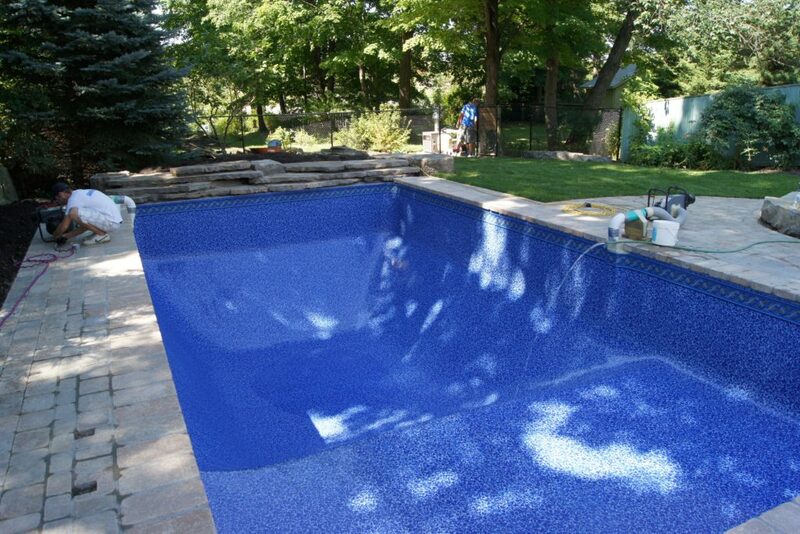 We offer free, no-obligation estimates for pool renovations!